Contac Us Now To Get Best Price ! Our driver will go to the airport to pick up the tourists then transfer to the downtown. 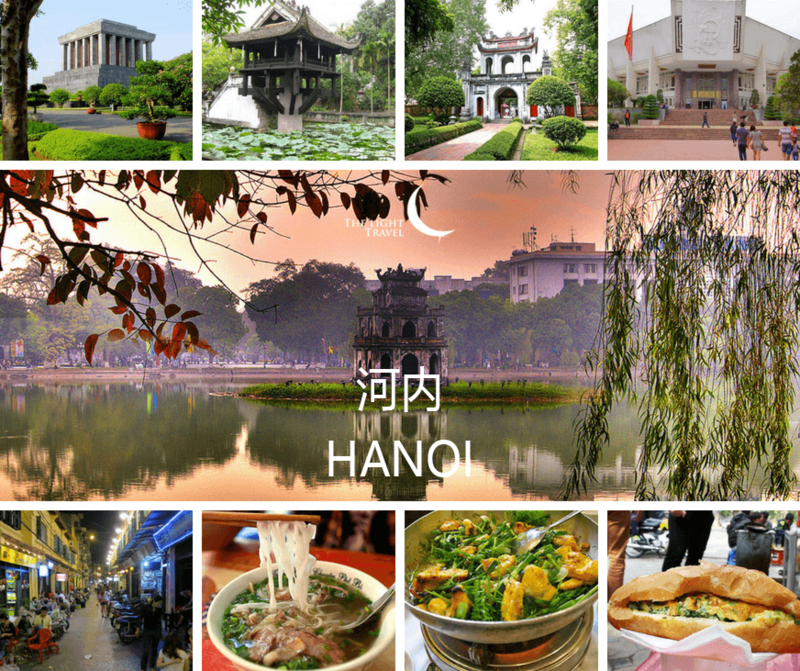 Then you will visit “Ba Dinh Square”, “Ho Chi Minh Museum”, “Literature Temple”, “Vietnam Military History Museum”. 12h00 Have lunch at local restaurant. In the afternoon, visitors continue to visit the “Temple Of Literature” – built in the 10th century, the first university in Vietnam. After that is “Tran Quoc Pagoda”. 17h30 Have a “Water Puppet Show”. 18h30 Have dinner at a local restaurant. 19h30 We will arrange a temporary hotel room for visitors to rest and take a shower. 20h30 Go to the train station and take the night train to Sapa. Overnight on the train – 4 soft beds per cabin for 4 people to sleep. 8h00 After breakfast in Sapa, we hike on a small path down the valley to the “Muong Hoa Valley” and from here to the Black H’mong village of “Y Linh Ho Village” &amp; “Lao Chai Village”. Enjoy the overall pictures of the villages among terraces and visit the H’mong people living in the wooden and bamboo houses. 12h30 Have lunch at a local restaurant. Hotel Sapa Charm hotel 3*** or equivalent hotel. 8h00 After breakfast, we will visit “Cat Cat Village”. Cat Village is a small mountain H’Mong’s village. During the walk, there is a great opportunity to see the Vietnamese countryside, where the scenery is really beautiful. There are also waterfalls, homes of various ethnic minorities, and strange stone carvings. 11h30 Check out hotel, then have lunch at local restaurant. 20h30 Arrive Hanoi, visitors have dinner at local restaurant. Hotel Hanoi Era Hotel 3 *** or equivalent hotel. 9h00 The car and tour guide will pick you up at the hotel and then we will depart for Ha Long Bay (2,5 hours). 12h45 Start a dreamy cruise to stunning scenery with thousands of limestone mountains and have lunch. While cruising through the emerald water passing by the Dog Stone, the Burning Incense islet, stop at Ba Hang fishing village for kayaking or sit in a bamboo boat rowed by locals. 16h30 Back to habor，we take car back to Hanoi. 20h00 Arrive Hanoi，we have dinner at local restaurant. 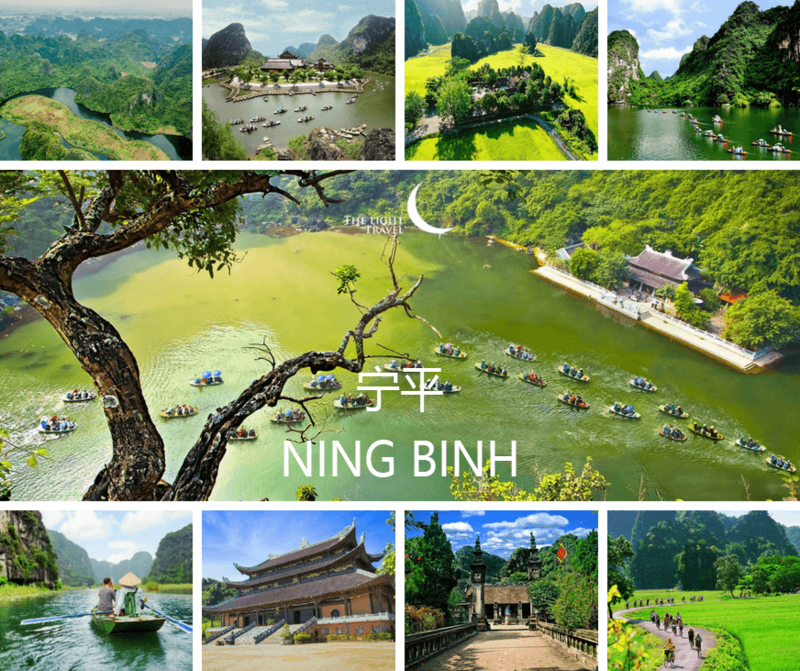 8h00 Get picked up by our tour guide and car at your hotel then we depart for Ninh Binh (2,5 hours). 10h30 Arrive at Hoa Lu, which is once depicted the ancient capital of Viet Nam, settled up in the 10th century. We Visit temples of two dynasties of Dinh and Le with a very unique architectures in the old time. 13h30 Arrive at Trang An, where visitors will take a boat driven by local fishermen along the Ngo Dong River, which is beautiful rice fields and majestic limestone on both sides, and enjoy the romantic scenery . 16h30 Then return to Hanoi. 19h30 Arrive Hanoi, we have dinner at local restaurant. Our driver takes you to the airport for your home flight. Transfer / 交通 – Private car airport transfer. 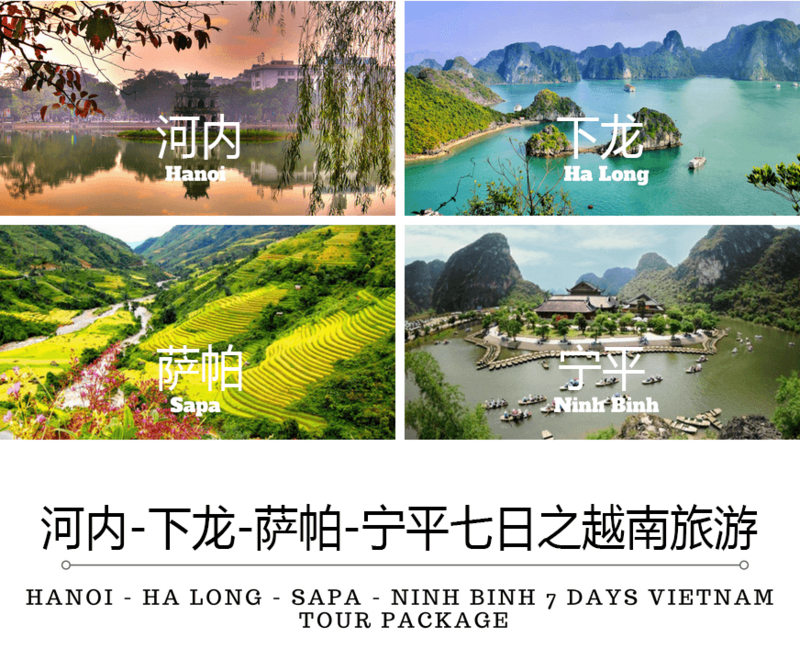 – Hanoi – Sapa night train ticket. 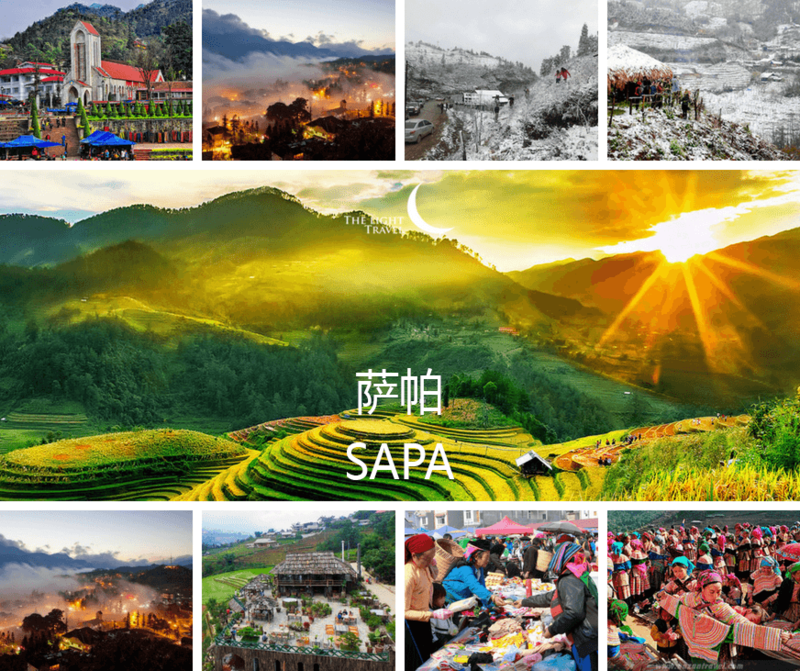 – Sapa – Hanoi luxury bus. 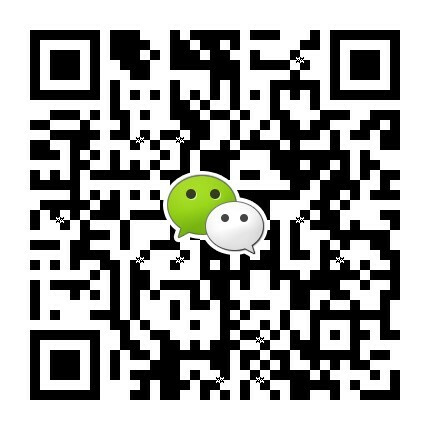 – Private car transfer to visit Sapa attractions, Ninh Binh attractions. Meal / 用餐 – Meals indicated in the tour. – Visitors use breakfast in the hotel restaurant. – Air tickets to and from Vietnam. – Early check in or late check out hotels. – Tour guide and driver tips. 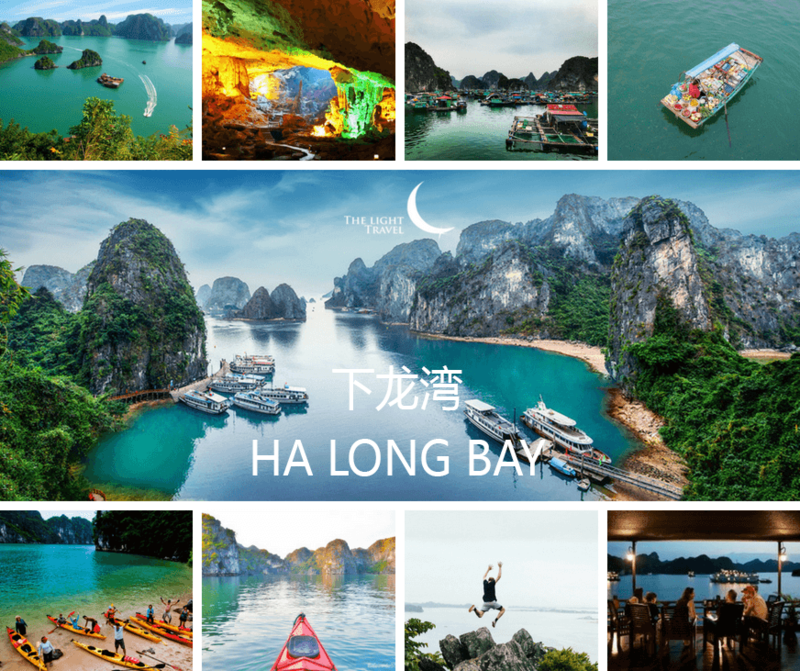 The Light Travel is a Vietnam local travel agent located in Hanoi. We boast a staff of highly qualified and professional travel personnel. Customers ‘s satisfaction are our goal and we are dedicated to achieving this objective. © vietnamstour.com 2018. All rights reserved.